Each Company is a separate Pipedrive account, with a separate API Key. These are treated as separate imports. 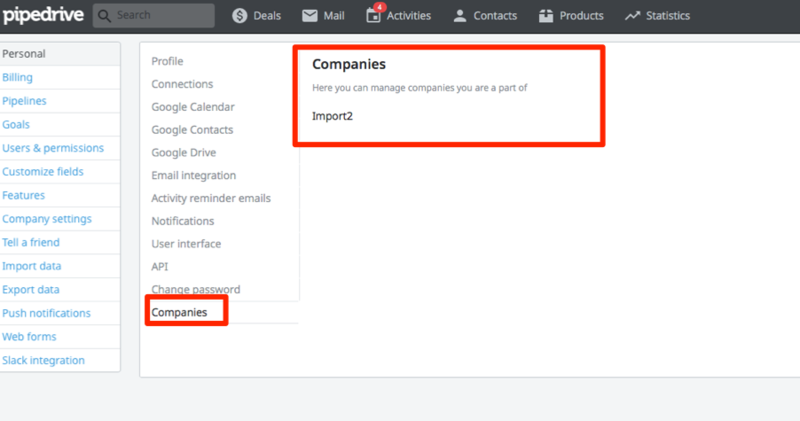 If you need to import to/from multiple Companies, please be sure to setup a separate import for each.